This is a guest blog written by Elizabeth Hill from Expressive Labs. As a business owner and manager, you are often in a position to foresee imminent downturns in the marketplace. Regular business research and intelligence gathering should keep you in the know and allow you to make informed decisions. Unfortunately, the global recession of 2008 saw businesses crack under the pressure of the credit crunch and a lot of people lost their jobs as a result. Many analysts have since debated on how exposure to such risks could have been alleviated. While business experts highlight Government policies, bailouts and a reduction in wasteful budgets as some of the solutions, not very many people look towards an often ignored but highly effective way to mitigate risk exposure; exporting. 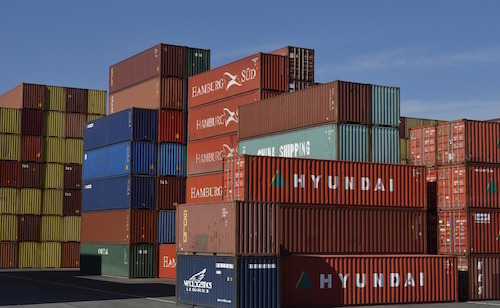 Exporting can help businesses mitigate against the risks of another recession. Profit maximisation is the primary reason for exporting. By utilising opportunities in foreign markets that may not exist in domestic markets, businesses open themselves to new sources of financial growth. This also has the advantage of extending a product’s life cycle and setting a business ahead of its local competitors. Another key benefit of exporting is the diversification of risks. When manufacturers produce goods locally and sell them abroad, they are able to hedge the costs of producing in a declining economy by the making up the difference in returns on investment received. This is especially evident when they take advantage of countries that aren’t experiencing a recession. During an economic recession, the Government often curbs capital flight; the rapid flow of money or assets out of a country. In order to encourage the reverse, exporters are eligible for incentives via UK Export finance. These Government agencies help exporting companies establish relationships overseas and back them up by raising tender and contract bonds. Business collaboration across geographical markets can lead to exchange of ideas that create more value. Economies that are not experiencing a recession are usually rich sources of fresh strategies that could prove useful on the home front for growing firms. Other general benefits include employment opportunities and, eventually, economic growth. It is therefore important for businesses to look towards exporting as a part of their growth strategy.